The second location for the European Cup Combined Events this weekend is at today’s track in Nottwill. 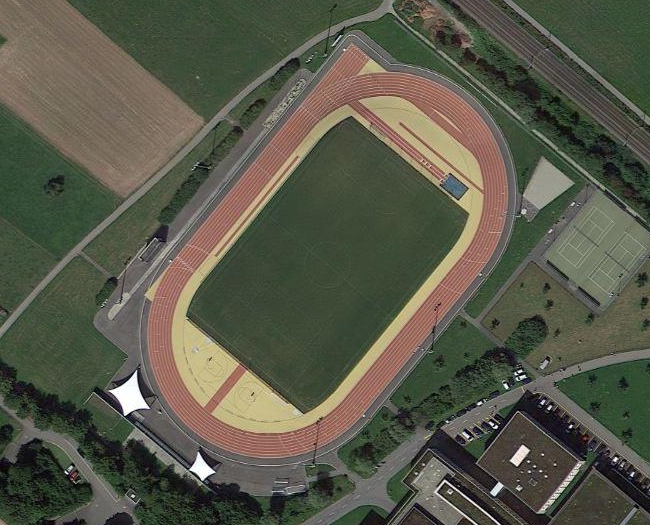 The 1st League will be having their meet here, in this tiny town of just over 3,000 people. This is a beautiful looking venue, with a two-color surface that was just installed a year ago. For big meets, throws are all contested inside the track, along with the jumps. If there was an award for the nicest track in the smallest town, this may be your winner! The meet starts today, and will finish the other half of the competition tomorrow.